Peru is one of my favorite places to visit — even though I have only been twice. But both times, the country’s family-friendly nature stood out in my mind, which is why I am so glad that there are new opportunities for families to visit Peru. With its wealth of natural and cultural heritage, Peru is growing up as a multigenerational travel destination. Today, an increasing number travelers of all ages are planning bucket-list dream trips together to Peru’s Andes Mountains, Amazon rainforest and ruins of Machu Picchu. Southwind Adventures, a boutique tour operator that specializes in South America, has been operating trips to Peru for more than 23 years. Southwind recently launched a family soft-adventure itinerary, the nine-day Family Andean Discovery, by hand-selecting the best activities and accommodations for discerning families who hold safety, comfort, fun and learning as their top priorities. To allow for acclimation in the region’s high altitudes, the itinerary flows gracefully from the lower elevation of the Sacred Valley (9,000 feet) to the higher elevation of Cusco (around 11,150 feet). The trip is ideal for families with children ages 5 and up. A more active variation of the itinerary is ideal for teens ages 12 and up. Discounted rates are available for kids up to age 17. Highlights of the itinerary include a cross-cultural visit with a local primary school, a gourmet cooking class, a hands-on ceramics workshop, a planetarium visit and a walking tour of Cusco with new local friends. For animal lovers in the family, the trip features encounters with native species on a visit to a textile workshop where all four Peruvian camelids – llamas, alpacas, vicunas, and guanacos – reside. They’ll also visit an endangered spectacled bear at an award-winning conservation project, as well as spot rare birds in the depths of a misty cloud forest. Outdoor adventure activities such as river-rafting, sea kayak, horseback riding and a one-day sample of the Inca Trail can be customized into the itinerary. 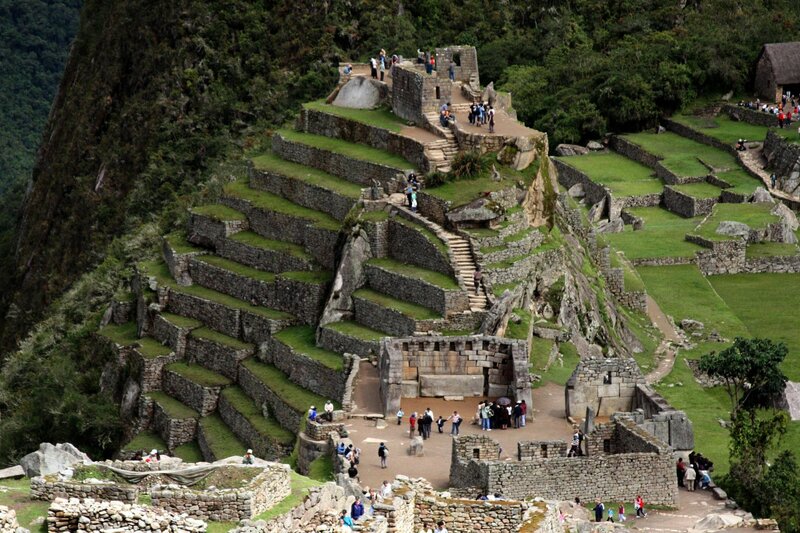 The trip’s climax is a scenic train ride to the ancient citadel of Machu Picchu for two days of guided exploration.